Since 1978 when the company launched its first automatic jogger hundreds of Baumann joggers have been manufactured for companies all over the world. Now BAUMANN has designed a new automatic jogger, the BSB 3 L "Professional" which is able to jog even "difficult" materials, such as metallic paper, pharmaceutical package inserts or labels, much easier and thus quicker than conventional joggers. 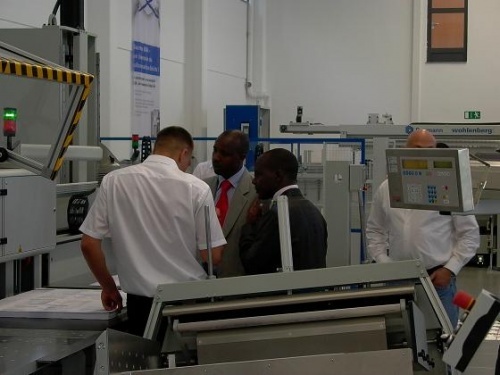 From 28 June to 2 July 2010 the first "FUTURE VISIONS"-exhibition, organized by GTS GmbH, Heilbronn, and BAUMANN Maschinenbau solms, took place in the BAUMANN cutting centre, where both companies presented themselves as competent partners for the process of automatic jogging as well as for the most different cutting tasks and - above all - for the integration of the counting process. 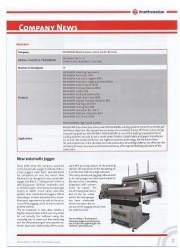 With effect form March 2010, BAUMANN Maschinenbau Solms has become official shareholder of Print Promotion.